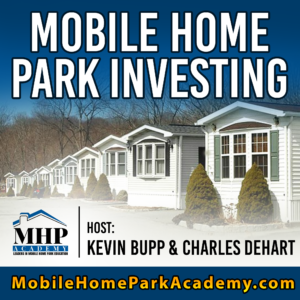 In today’s show we’re going to be talking with Mobile Home Park industry broker, Stephanie McAnuff. Stephanie started her broker career with Marcus & Millichap specializing in manufactured housing communities. Today, Stephanie is a Partner at IDI Properties where her team specializes in mobile home park and multi-unit investment brokerage. She has set herself apart from other industry brokers through transforming how mobile home parks are marketed and her dedication to educating others about mobile home park investing with her publications.